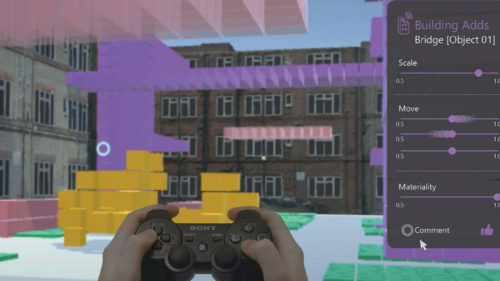 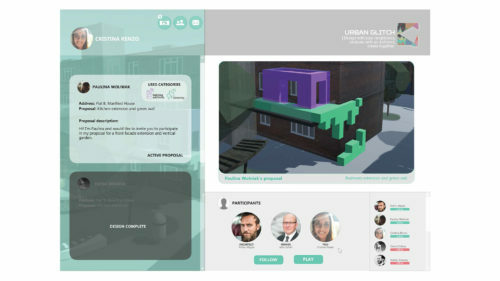 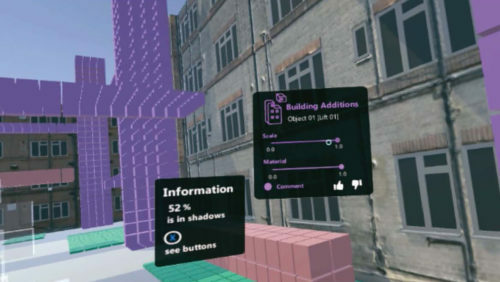 Urban Glitch examines a new approach of participatory design using a virtual reality (VR) platform, in an attempt to enhance the communication between designers and users. 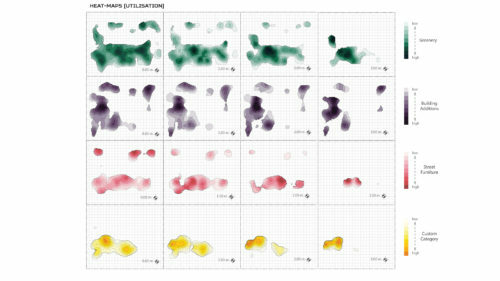 Whilst the M.Sc. 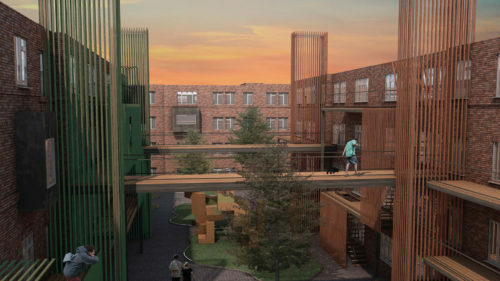 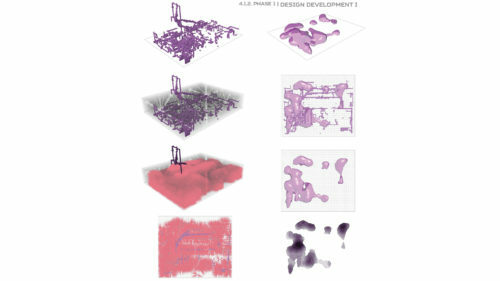 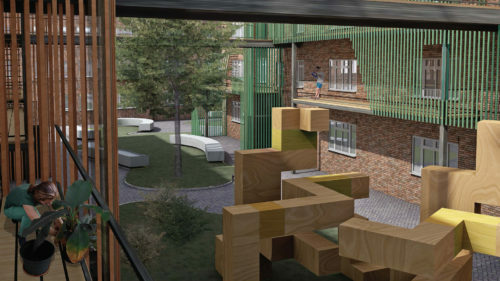 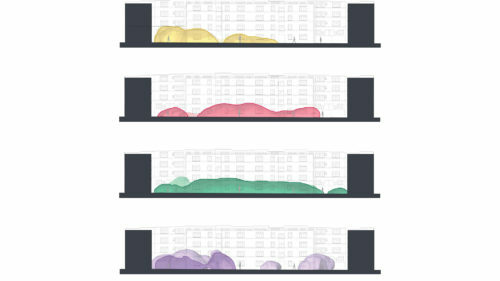 stage set out the bases of the design method and demonstrated its validity through the final reception of different architectural proposals for the public space of the New Era Estate in London, the M.Arch. 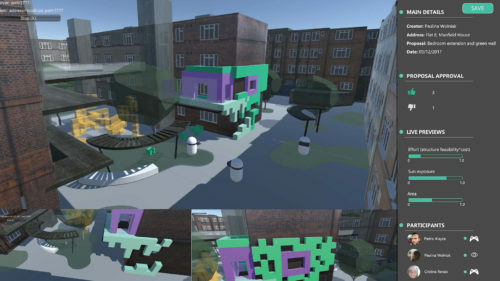 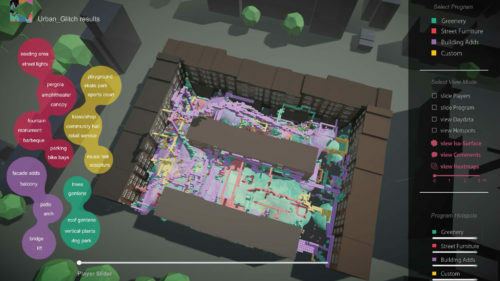 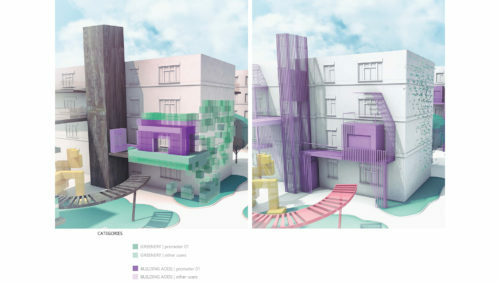 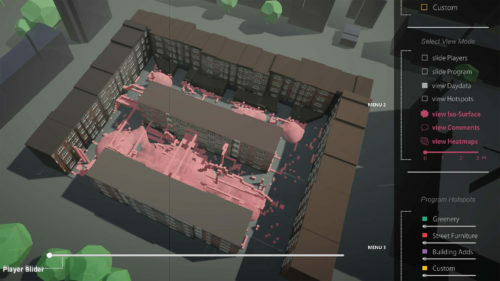 dissertation initially focuses on the upgrade of the VR tool to allow one of the architectural proposals to be fed back into the game for user evaluation, encouraging an iterative virtual dialog between users, designers, planners and land-owners. 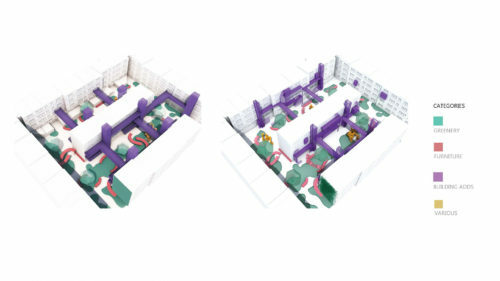 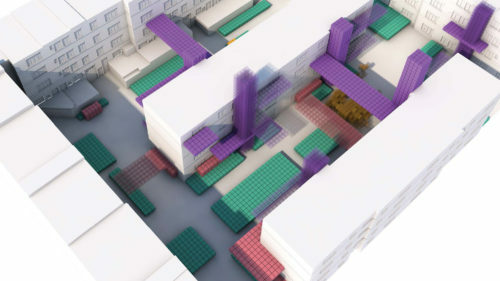 This behaviour was tested in an on-site public workshop, where a higher level of information was obtained and used to further develop the design. 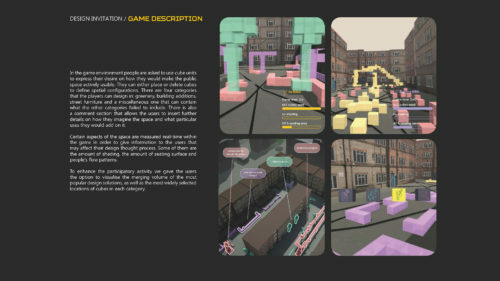 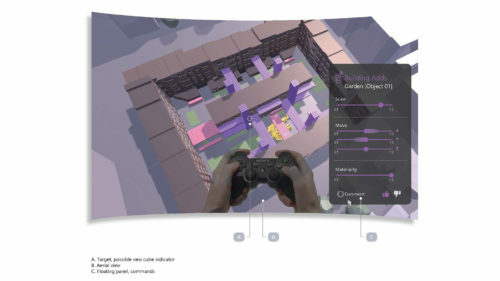 Subsequently, the work investigates the multi-player game mode, which demonstrated that the “group-thinking” is able to strengthen users’ technical confidence, awareness and involvement in the design process. 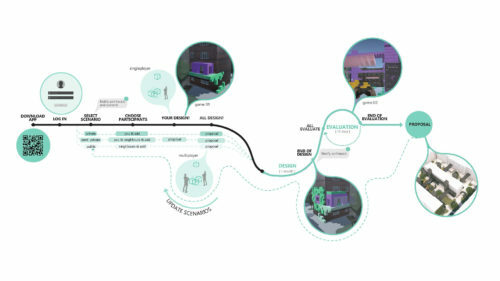 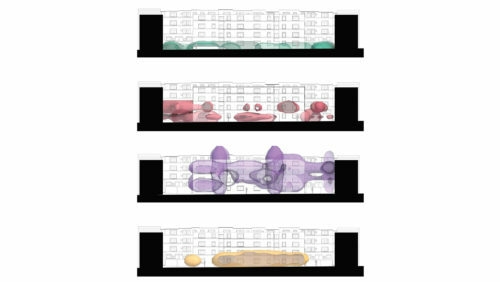 The ultimate architectural ambition was to demonstrate the ability of the enhanced participatory method to periodically adapt space to the contemporary living trends in high populated cities. 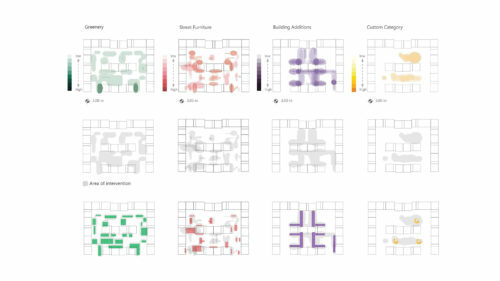 The results revealed a collective and adaptable building design derived from a new tenant-to-the-estate’s wish to increase his property’s internal private space. 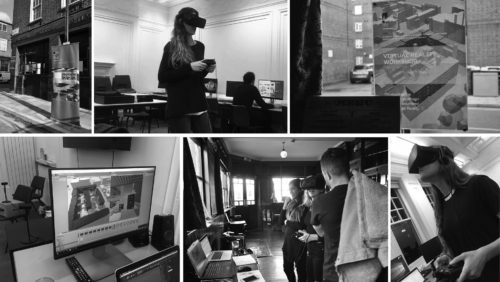 Eventually, the discoveries made in this stage seek not only to approach new means of design using VR but to re-activate participation and collaboration in the field of architecture in the digital era.